These patients are difficult candidates for laparoscopic nephrectomy. After initial dissection, control of the renal vessels should be attempted first so as to prevent troublesome bleeding. However, gradual, slow, and careful dissection is the key to success in these cases. In patients who have an indwelling percutaneous nephrostomy, after initial dissection, the nephrostomy tract should be divided because this allows more room for further dissection (27). In a recent series (28), the authors presented their experience with transperitoneal laparoscopic pyelolithotomy in pediatric patients in whom percutaneous renal access failed and the stone burden warranted open intervention. 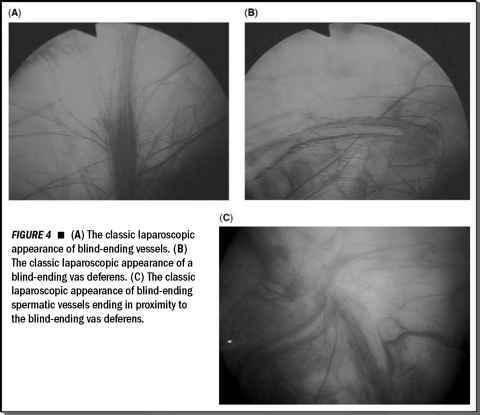 In this series, a transperitoneal laparoscopic approach was used for pyelolithotomy in eight patients, three months to ten years old (mean age four years). Percutaneous access failed secondary to a nondilated system and/or an occluding lower pole calculus. A posterior pelviotomy was made. Stones in the renal pelvis were removed with rigid graspers under direct laparoscopic vision. A flexible cystoscope was introduced through a port if caliceal stones were present. The renal pelvis was reconstructed. A watertight anastomosis was verified. Average operative time was 1.6 hours (range, 0.8-2.3). Mean hospital stay was 2.15 days (range, two to three days). A range of one to three stones (median of 1) were removed and the mean stone burden was 2.9 cm2. No intraoperative complications were noted. Stone analysis revealed three patients with calcium oxalate stones, one with a calcium phosphate stone, and four with cysteine stones. Stones recurred in one patient at a mean follow-up of 12 months (range, 3-20 months). Overall long-term stone-free rate was 87.5%.